This is a nice video game companion for Watch Dogs. Visuals are great. However, there are certain aspects that aren't as good. The content's roughly split into three parts featuring the characters, environment, and graffiti plus ASCII art. Brief character profiles and commentary are included. While the book has several pages for character designs, there aren't many pieces of artworks shown. For Aiden Pearce and Clara, there are variation designs to the face and costumes. However, the rest of the characters are mostly just one character art per page with some thumbnails of faces, and it gets less and less towards latter pages. The designs themselves aren't particularly exciting since they are just city dwellers but the realism of the computer generated graphics is quite amazing. Second part has the environment art which focuses on Chicago, the bright, dark and outer-sides of the windy city. There are adaptations of course. The art is very detailed and there are many pieces to check out. Last section features the interesting computer-inspired ASCII art that's made up of computer fonts, highlighted text blocks and dot matrix textures. In this section are also quite a few street art and graffiti. Not quite Banksy level but I guess the serve their purpose in the game. 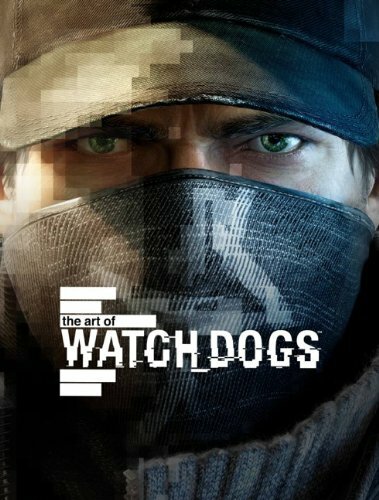 There are other miscellaneous artworks of the props (few), and scenes of Aiden Pearce in action, basically just him holding his mobile phone that controls electronic devices and vehicles around. I would rate this book 4 out of 5 stars based on the quality of the art which is fantastic, and it's good if you like cityscape art, but I don't really feel the vibe and emotion from the artworks.